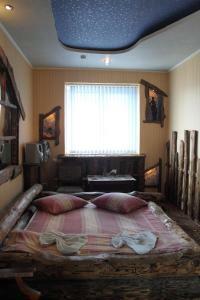 A-HOTEL.com - Luxury and cheap accommodation in Stepankovo, Russia. Prices and hotel, apartment booking in Stepankovo and surrounding. Gostinitsa Zolotoye Koltso offers pet-friendly accommodation in Lipna. Guests can enjoy the on-site cafe. Set in Kosterevo, Kvartira v Kosterevo offers accommodation with free WiFi and a kitchen. A microwave and stovetop are also featured, as well as a kettle.